The Grapes of Wrath celebrates the strength, endurance and resilience of the American farm family. Set during the Great Depression, the story focuses on the Joads, a family of poor tenant farmers who are driven from their Oklahoma home by drought, economic hardship, agricultural industry changes and bank foreclosures forcing tenant farmers out of work. Finding themselves in a hopeless situation, the Joads set out for California, seeking jobs, land, dignity and a future. OUSSAMA ZAHR catches up with composer Ricky Ian Gordon, who is at a career peak, with a trio of new operas in the works. Reprinted with permission from Opera News and Ricky Ian Gordon. “It’s called flying by the seat of your pants!” Ricky Ian Gordon is writing three operas at the same time, a proposition so ridiculous that he has to laugh. It’s mid-June, two days before he’s due to fly to Houston Grand Opera for a workshop, and he’s invited me over for tea and a guided tour of the works in question — A Coffin in Egypt, which will have its world premiere in Houston in March and a second run at Opera Philadelphia in June; Twenty-Seven, for Opera Theatre of Saint Louis, also in June; and Intimate Apparel, which Lynn Nottage is adapting from her acclaimed play. Intimate Apparel is being developed for a possible premiere sometime in the distant future as part of the Metropolitan Opera and Lincoln Center Theater’s joint commissioning program. 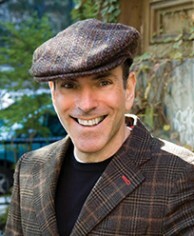 Ricky Ian Gordon was born on May 15, 1956 in Oceanside, NY and raised on Long Island. After studying piano, composition and acting, at Carnegie Mellon University, he settled in New York City, where he quickly emerged as a leading writer of vocal music that spans art song, opera, and musical theater. Mr. Gordon’s songs have been performed and or recorded by such internationally renowned singers as Renee Fleming, Dawn Upshaw, Nathan Gunn, Judy Collins, Kelli O’Hara, Audra MacDonald, Kristin Chenoweth, Nicole Cabell, the late Lorraine Hunt Lieberson, Frederica Von Stade, Andrea Marcovicci, Harolyn Blackwell, and Betty Buckley, among many others. 2015: “Morning Star” – libretto by William Hoffman, directed by Ron Daniels, conducted by Christopher Allen 1910. New York’s Lower East Side. Their homeland now a memory, Becky Felderman and her children find hope in the promise of life in the New World. As decades unfold, their dreams are tarnished by hardships – the Triangle Shirtwaist Factory fire, World War I, and the Great Depression. Their story is our story – one of triumph and tragedy, struggle and sympathy, and a family that abides the trials of a lifetime. “Was the long pull ‘Morning Star’ had to undergo before finally emerging into the blinding light of performance worth it? Most emphatically, yes. A worthy performance by a splendid ensemble of mostly young American singers rescued from oblivion a music theater piece of considerable heart, power and poignancy. The opening-night audience at Cincinnati’s School for Creative and Performing Arts received the work with the kind of open enthusiasm not usually awarded contemporary operas. “The success of Tuesday’s premiere validated everyone’s faith in “Morning Star.” The two-act, three-hour (including intermission) opera, which follows the resilient Becky’s struggle to keep her family together amid horrific, life changing events, impressed as Gordon’s finest opera to date. “The score’s seamless fusion of melodic arioso, accompanied recitative, Broadway-style ballads, stirring ensembles, and Tin Pan Alley and ragtime elements, turns on a dime as the dramatic and emotional situations require. Several memorable songs crystallize the psychology of the main characters, notably Fanny’s proto-feminist ballad, “If I’m Not Allowed to Sing”; and Pearl’s “So Many Colors,” in which the young woman, an African-American from the rural South, laments the loss of her home and family. “The music sits comfortably on Hoffman’s sharply observed libretto, slyly peppered with Yiddishisms, Sondheimesque in its witty use of language, yet entirely Hoffman’s own in its ability to evoke the rhythms of working-class life and death. 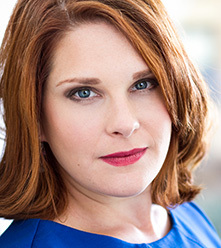 Stephanie Blythe makes her Opera Theatre of St. Louis debut starring as Gertrude Stein, in a role written for her by composer Ricky Ian Gordon and librettist Royce Vavrek. Indulge for an evening at #27 Rue de Fleurus in Stein’s Paris salon, home to the luminaries of the Lost Generation. Elizabeth Futral is Alice B. Toklas. “Gordon’s compositions are stunning. The orchestrations are intricate and lovely, which in turn are contrasted by the upfront nature of the main vocal line, combining opposites in one marvelous conclusion. The thought lingers that these two opposites mirror Toklas and Stein; Toklas the delicate and lovely orchestration and Stein the brash vocal line. Vavrek’s libretto is crisp, and fortunate to have read the libretto; it is as fine as any poetry and can stand on its own as such. Director James Robinson has done a remarkable job to bring this enlightened work to life with some truly stunning visuals created by cleverness rather than extravagance, and conductor Michael Christie brings the remarkable score to vivid realization with members of the St. Louis Symphony Orchestra. Allen Moyer creates a worthy canvas that is somehow elegant in its simplicity, and James Schuette’s costumes effectively let the trio differentiate their myriad characters (and adds his own humorous touches too). Kudos also to wig and makeup designer Tom Watson and Sean Curran’s choreography. 90-year-old grand dame Myrtle Bledsoe has outlived her husband, her daughters and virtually everyone else in Egypt, Texas. But in the last stage of her life, she can’t outlive the truth. Houston Grand Opera, The Wallis Annenberg Center for the Performing Arts, and Opera Philadelphia proudly present the World Premiere of this haunting tale of memory and murder, racism and recrimination. Known for opera, art song, and musical theater, composer Ricky Ian Gordon and librettist/director Leonard Foglia base the opera on a play by Horton Foote, providing the perfect showcase for beloved mezzo-soprano Frederica von Stade. This fictional song cycle (recorded on Naxos and published by Presser Music) inspired by diaries, letters, and personal accounts from the 1860s, premiered at the Harrison Opera House April 12th, 2011. It was co-commissioned in commemoration of the 150th anniversary of the start of the American Civil War, by The Modlin Center for the Arts at the University of Richmond, Texas Performing Arts at the University of Texas in Austin, The Virginia Arts Festival, and Virginia Opera. “Sycamore Trees” was sponsored by the Shen Family Foundation and was a recipient of The Edgerton Foundation New American Plays Award. It featured Broadway’s Farah Alvin, Marc Kudisch, Judy Kuhn, Jessica Molaskey, Matthew Risch, Diane Sutherland & Tony Yazbeck. Nominated for The Charles MacArthur Award for Outstanding Play or Musical by The Helen Hayes Awards Organization, and won a Helen Hayes Award for Best Ensemble. 2010: “The Grapes of Wrath” – A Two Act Concert Version of the Opera with a libretto by Michael Korie, at Carnegie Hall, directed by Eric Simonson with projections by Wendall Harrington and lighting by Francis Aronson. Narrated by Jane Fonda, with a cast that included Victoria Clark, Nathan Gunn, Christine Ebersole, Elizabeth Futral, Matthew Worth, Sean Panikkar, Stephen Powell, Steven Pasquale, Peter Halverson, Andrew Wilkowske, Madelyn Gunn, and Alex Schwartz…with The Collegiate Chorale and The American Symphony Orchestra conducted by Ted Sperling. “It must be said that “The Grapes of Wrath” certainly reached the audience on Monday night. The hall was packed and the ovation tumultuous.” Anthony Tommasini, The New York Times. 2007 & 2008: “The Grapes of Wrath” – A full-scale opera with libretto by Michael Korie, premiered at the Minnesota Opera in a production that then traveled first to Utah Opera, and then to Pittsburgh Opera. Musical America called the work, “The Great American Opera,” and Los Angeles Times critic Mark Swed wrote that: “…the greatest glory of the opera is Gordon’s ability to musically flesh out the entire 11-member Joad clan…Gordon’s other great achievement is to merge Broadway and opera… greatly enhanced by his firm control over ensembles and his sheer love for the operatic voice.” Alex Ross, writing in The New Yorker, wrote “Gordon, who first made his name in the theatre and as a composer of Broadway-style songs, fills his score with beautifully turned genre pieces, often harking back to American popular music of the twenties and thirties: Gershwinesque song-and-dance numbers, a few sweetly soaring love songs in the manner of Jerome Kern, banjo-twanging ballads, saxed-up jazz choruses, even a barbershop quartet. You couldn’t ask for a more comfortably appointed evening of vintage musical Americana. Yet, with a slyness worthy of Weill, Gordon wields his hummable tunes to critical effect…” A Suite from the opera was premiered at Disney Hall in spring 2008 (May 18). The full opera, live from the Minnesota premiere, is available on a 3 CD set with libretto liner notes on PS Classics. Carl Fischer has published the Vocal Score as well as a Folio of 16 Arias from the Opera. 2005: “Orpheus and Euridice” – A Theatrical Song Cycle in Two Acts, premiered at Lincoln Center’s Rose Theatre as part of Great Performers, and The American Songbook Series, October 5, 2005. Directed and choreographed by Doug Varone and performed by Elizabeth Futral, Soprano, Todd Palmer, Clarinet and Melvin Chen, Piano, it won an OBIE Award and is recorded on Ghostlight Records and published by Carl Fischer Music. 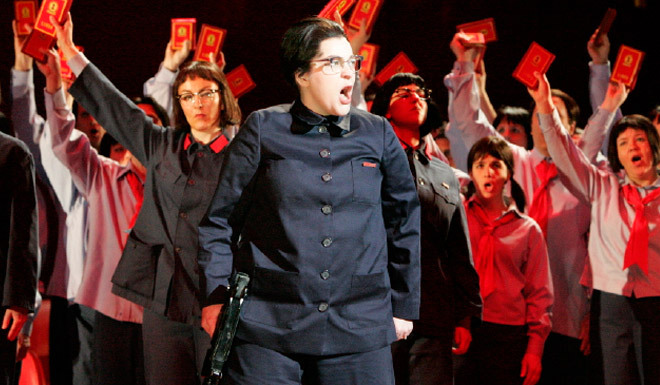 It was given new productions at Long Beach Opera February of 2008, Fort Worth Opera in July of 2008. Long Leaf Opera in North Carolina reprised the Lincoln Center/Doug Varone production. 2003: “My Life with Albertine” – written with Richard Nelson and based on Marcel Proust’s “Remembrance of Things Past” premiered at New York’s Playwrights Horizons (recorded on PS Classics and published by Rodgers and Hammerstein/Williamson Music, AT&T Award). It starred Kelli O’Hara, Brent Carver and Emily Skinner. 2001: “Bright Eyed Joy: The Music of Ricky Ian Gordon” – was presented at Lincoln Center’s Alice Tully Hall as part of the American Songbook Series. Stephen Holden, writing in the New York Times wrote of the work, “If the music of Ricky Ian Gordon had to be defined by a single quality, it would be the bursting effervescence in fusing songs that blithely blur the lines between art song and the high-end Broadway music of Leonard Bernstein and Stephen Sondheim…It’s caviar for a world gorging on pizza.” “Bright Eyed Joy” is recorded on Nonesuch Records with vocalists including Audra McDonald, Dawn Upshaw, and Adam Guettel. Other works include, “Dream True,” written with Tina Landau and premiered in 1999 at The Vineyard Theater (recorded on PS Classics, Richard Rodgers Award, Jonathan Larson Foundation Award), “States Of Independence,” (also with Ms. Landau, for The Prince Music Theater in Philadelphia (formerly The American Music Theater Festival) in 1992, and “Only Heaven,” based on the works of Langston Hughes and premiered in 1995 at Encompass Opera (recorded on PS Classics, and published by Rodgers and Hammerstein/Williamson Music). 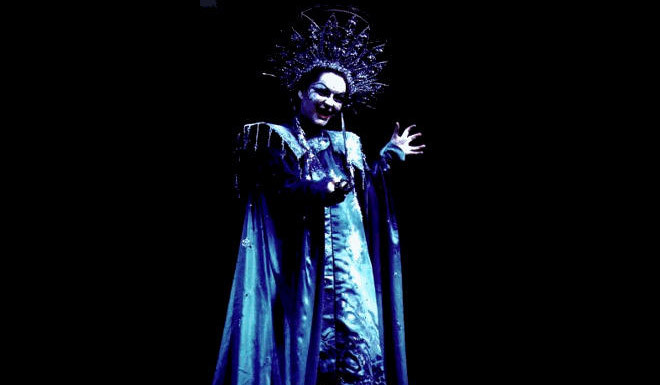 “The Tibetan Book of the Dead,” written with Jean Claude Van Itallie, premiered at the Houston Grand Opera in 1996 and, and “Morning Star,” (The Workshop) written with William Hoffman which Mr. Gordon wrote for The Lyric Opera Of Chicago, where he was a composer in residence. 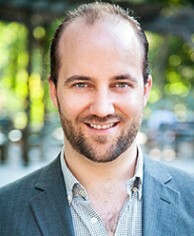 Having recently completed an opera based on Giorgio Bassani’s novel, “The Garden of the Finzi Continis” with librettist Michael Korie, Mr. Gordon is currently working on commissions from New York’s Metropolitan Opera and Lincoln Center Theatre, (“Intimate Apparel” with Playwright, Lynn Nottage) Houston Grand Opera, ( “The House Without A Christmas Tree,” with librettist Royce Vavrek) The Goodman Theatre, (“Private Confessions,” based on Ingmar Bergman’s autobiographical novel with playwright Richard Nelson and director Robert Falls) and Prototype (“Ellen West” based on Frank Bidart’s poem). After Renee Fleming premiered his orchestral setting of Harper’s final monologue from Tony Kushner’s “Angels In America,” “Night Flight To San Francisco” (which originally premiered in a piano vocal version at Lincoln Center in 2000) with conductor Sebastian Lang Lessing and The San Antonio Symphony in 2011, he set Harper’s OTHER monologue from Tony Kushner’s “Angels In America,” the “Antarctica” monologue. As a teacher Mr. Gordon has taught both Master Classes and Composition Classes in Colleges and Universities throughout the country including Yale, NYU, Northwestern, Juilliard, Manhattan School of Music, Catholic, Bennington, Vassar, Carnegie-Mellon, Elon, Michigan State, U of Michigan, Point Park (McGinnis Distinguished Lecturer) Texas Lutheran University, Eastman School of Music, Florida State University, Texas Christian University, and San Francisco Conservatory. 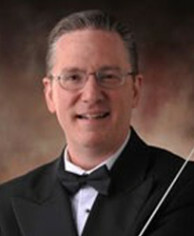 He has been the featured Composer-in-Residence at various festivals including Bravo! Vail Valley Music Festival, The Hawaii Performing Arts Festival, The Van Cliburn Foundation, Voices of Change, Santa Fe Song Festival, Songfest at Pepperdine University, Chautauqua, Aspen Music Festival, and Ravinia. 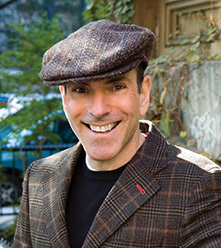 Among his honors are an OBIE Award, the 2003 Alumni Merit Award for exceptional achievement and leadership from Carnegie-Mellon University, A Shen Family Foundation Award, the Stephen Sondheim Award, The Gilman and Gonzalez-Falla Theater Foundation Award, The Constance Klinsky Award, and many awards from ASCAP, of which he is a member, The National Endowment of the Arts, and The American Music Center. Mr. Gordon’s works are published by Williamson Music, Carl Fischer Music, and Presser Music and available everywhere. Having been praised for his “exceptionally expressive instrument” (Bachtrack) and “clear, ringing forthright sound (The Montreal Gazette), Cairan Ryan has embarked on a promising young career. He was born in Lier, Belgium, emigrated to Calgary, AB, and recently completed his 2-year tenure at the Atelier Lyrique de L’Opéra de Montréal. 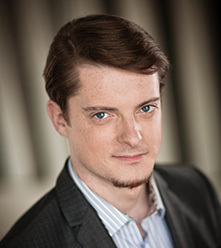 In the 2014-15 Season, he sang Papageno in The Magic Flute at Opera Lyra Ottawa, appeared in the 2014 Jeunes Ambassadeurs Lyriques Gala, was soloist for the Choeur Polyphonique de Montreal’s Messiah, soloist for University of Ottawa’s Ein Deutsches Requiem, and The Church of St. Andrew and St. Paul’s Church’s B Minor Mass, under the baton of Jordan de Souza. In July 2015, he appeared as soloist at the Festival de Lanaudière, in Bruckner’s Mass No. 3 in F minor, with the Orchestre Metropolitain de Montreal, with Yannick Nézét-Seguin at the podium. He made his Against the Grain Ensemble debut this summer at the Banff Centre, singing Don Alfonso in Così fan Tutte, and sang Il Conte Almaviva in Le Nozze di Figaro at Highlands Opera Studio. 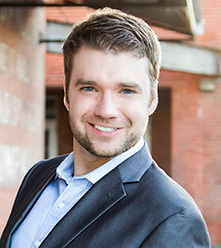 The 2015-16 season saw him make debuts with the Viva Voce ensemble in Montreal, singing Bach Cantata 63, the Vero Beach Opera as Falke in Die Fledermaus; reprise his role as Don Alfonso in Against the Grain Theatre’s critically acclaimed production of A Little too Cozy/Così fan Tutte, and will make his Sugar Creek Opera debut as Tom Joad in Ricky Ian Gordon’s The Grapes of Wrath. He will make his debut with the Netherlands Radio Philharmonic Orchestra at Het Concertgebouw as Der Notar in Richard Strauss’ Intermezzo in 2017. 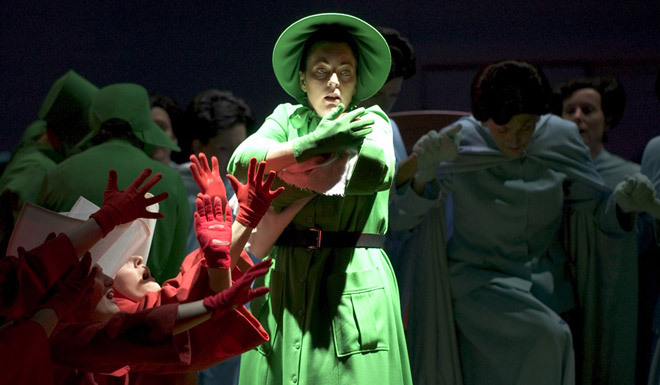 The 2013-14 season saw Cairan sing Marcello in Jeunesses Musicales Canada’s production of La Bohème, and The Father in Opera de Montreal/Atelier Lyrique’s production of Hänsel und Gretel. Cairanmade his French debut at Choregiesd’Orange in May 2014. He attended the Tanglewood Institute as a Vocal Fellow of the 2014 Festival Season, and made his Boston Symphony Orchestra debut as the Doctor/Inquisitor II in Bernstein’s Candide, under the baton of Bramwell Tovey. Cairan is a winner of the Metropolitan Opera National Council Auditions at the District Level (Kansas City District), an inaugural Koerner Foundation Scholarship recipient, was supported by the Schulich Scholarship and the Noel E. Spinelliprize in Music at McGill University. He holds degrees from The University of Victoria School of Music, The Guildhall School of Music and Drama, and the McGill University Schulich School of Music. 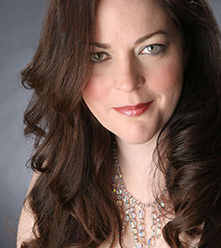 Hailed as possessing a voice of “spell-binding power and intensity” (The Register-Guard), mezzo-soprano Julie Miller has appeared as a soloist with many orchestras and in many major concert halls across the country. 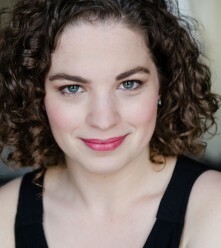 Most recently, Ms. Miller made her debut with the Lyric Opera of Chicago as Emilia in Otello, and was also seen there as Annina (La Traviata), Ida (Die Fledermaus) and Krystina (The Passenger). Some of her orchestral appearances include performances with the the Kalamazoo Symphony Orchestra, the Oregon Mozart Players and the Grant Park Music Festival. 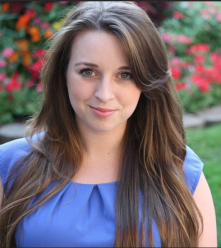 Ms. Miller has also been a featured soloist at Carnegie Hall in the world premiere of Ryan Carter’s Doot and at the Ravinia Festival in a performance of Bernstein’s Songfest. In the coming months, she looks forward to appearing as the Mezzo Soloist in Schubert’s Mass in A flat with the Illinois Philharmonic Orchestra, Ma Joad (Grapes of Wrath) with Sugar Creek Opera and Baroness Pannonica de Koenigswarter (Yardbird) with Madison Opera. Highlights of Ms. Miller’s operatic career include Jo (Little Women), Annio (La clemenza di Tito), Stéphano (Roméo et Juliette), Donna Elvira (Don Giovanni), Ottavia (L’incoronazione di Poppea), Flora (La Traviata), Commére (Four Saints in Three Acts), and the Mother (Amahl and the Night Visitors). She has also been heard with orchestra as Soloist in performances of Bach’s Magnificat and Cantata No. 6, Handel’s Messiah, Duruflé’s Requiem, Beethoven’s Symphony No. 9, and both Mozart’s Mass in C minor and Requiem. 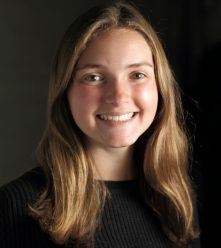 Ms. Miller is the recipient of the the Jerome and Elaine Nerenberg Foundation Scholarship and the Rose McGilvray Grundman Award (American Opera Society of Chicago), the Richard F. Gold Career Grant (Shoshana Foundation) and the Edith Newfield Scholarship Award (Musicians Club of Women). 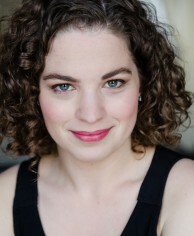 She recently completed her second year in the Patrick G. and Shirley W. Ryan Opera Center at Lyric Opera of Chicago, and prior to that she had the honor to complete her Master’s Degree as a member of the inaugural class of Dawn Upshaw’s Graduate Program in Vocal Arts at the Bard College Conservatory of Music. 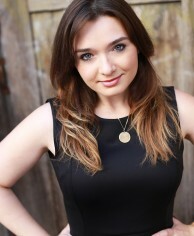 Soprano Jessica Jane Jacobs has been praised by critics for her “warm”, “clear”, and “bejeweled” vocal tone along with her “affecting”, “strong”, and “honest” stage presence. Ms. Jacobs is becoming noticed for her abilities as a singing actress. Of her performance as Mimì in La Bohème one reviewer wrote, “Jacobs’s ability to respond organically to her cast mates puts her in a growing minority of opera singers who are able to fully integrate dramatic truthfulness with fine vocal delivery.” (The Boston Musical Intelligencer) She has sung leading and supporting roles with many companies in the Northeast, including NEMPAC Opera Project, Boston Opera Collaborative, Lowell House Opera, Harvard Early Music Society, and Calliope Productions. Ms. Jacobs has spent two summers in Lucca, Italy with the Opera Theater and Music Festival of Lucca, where she performed the roles of Barbarina in Mozart’s Le Nozze di Figaro and Norina in Donizetti’s Don Pasquale. She returned to Italy in the summer of 2010 as a member of “i Solisiti di Spoleto” at CCM Spoleto’s inaugural season, where she performed with full orchestra in the historic Teatro Nuovo. In the summers of 2012 and 2013, Ms. Jacobs sang with Sugar Creek Opera as an Apprentice Artist, singing the roles of Nella in Gianni Schichi and covering the role of Love Simpson in Carlisle Floyd’s Cold Sassy Tree. Ms. Jacobs has received an encouragement award from the Metropolitan Opera National Council Auditions (Southeast Ohio District 2009). She placed second in the Just Love to Sing! Competition in NH (2012) and has been chosen as a semi-finalist in the Peter Elvins Competition (2012 and 2016) and the Opera Theater Pittsburgh’s 2015 Mildred Miller International Voice Competition. Ms. Jacobs is a graduate of Northwestern University (Bachelor of Music) and the University of Cincinnati College-Conservatory of Music (Masters of Music and Artist Diploma). She currently resides in Boston and studies with Dr. Rebecca Folsom. MET Opera National Council Auditions Semi-Finalist, Baritone Ricardo Rivera has been extolled by critics for presenting “sensitive, beautiful, and emotionally powerful” portrayals with “unerring vocal control”. This summer, he will return to the Santa Fe Opera as an second-year apprentice singer where he will perform Moralès and cover Escamillo in Carmen. In the 2013-2014 season, Ricardo will make role debuts as Marcello in La bohème with the El Paso Opera and as The Father in Hansel and Gretel with the Opera at Florham. He will be performing in the Licia Albanese-Puccini Foundation Gala at Alice Tully Hall with Eve Queler conducting the Opera Orchestra of New York and in a concert at the West Point Academy sponsored by the Gerda Lissner Foundation. He will also perform in the world premieres of Robert Cuckson’s cantata Horace: a portrait as Horace and Andrew McManus’ opera Killing the Goat as General Trujillo. The latter will be performed with Contempo’s resident chamber music ensembles, the GRAMMY-award winning eighth blackbird and Pacifica Quartet. In the 2012-2013 season, Ricardo’s operatic engagements included performances at the Santa Fe Opera as Thomas Martin and the Hotel Managers in the world premiere of Theodore Morrison’s Oscar and the cover of Germont in La traviata. 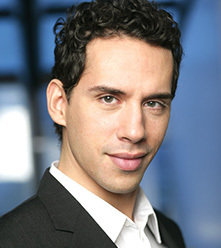 Other performances included his Alice Tully Hall debut in an Eve Queler and Friends concert, Mathieu in Andrea Chénier in a return to the Opera Orchestra of New York, and role debuts as Sharpless in Madama Butterfly with Opera Company of Middlebury, Ashby in La fanciulla del West with Knoxville Opera, and Corifeo in Jorge Lidermann’s opera Antigona Furiosa with Contempo and members of eighth blackbird. 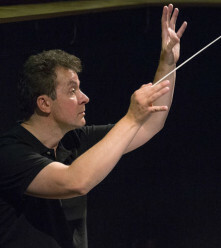 Other operatic engagements include Orisini in Wagner’s Rienzi with the Opera Orchestra of New York under Maestro Eve Queler in Avery Fisher Hall, Le chat in L‘enfant et les sortilèges and Spinelloccio in Gianni Schicchi under the baton of Lorin Maazel at the Castleton Festival, Moralès in Carmen and Fiorello/L’ufficiale in Il barbiere di Siviglia with Opera North, and Silvio in Pagliacci with the Martha Cardona Theater. 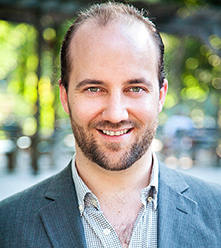 Ricardo is a recent graduate of Mannes College The New School for Music where he performed the title role in Don Giovanni, Ford in Falstaff, Don Alfonso in Così fan tutte, and Aeneas in Dido and Aeneas. 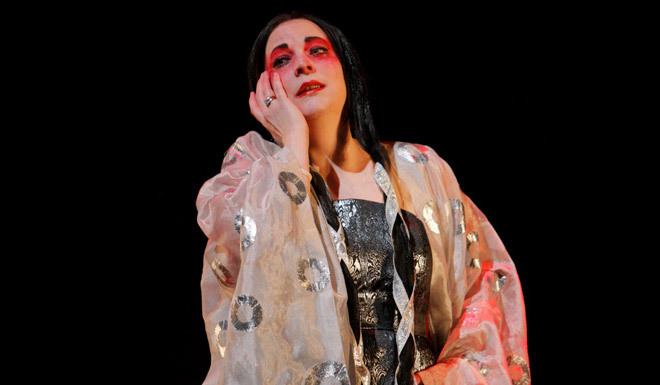 At Mannes he was mentored by former MET Opera Conductor and current Music Director at The Glimmerglass Festival, Joseph Colaneri and great American Mezzo-Soprano, the late Regina Resnik. 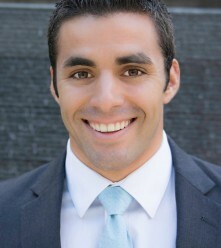 In addition to twice being an apprentice singer with the Santa Fe Opera, he was an apprentice artist at the Chautauqua Opera where he covered Enrico in Lucia di Lammermoor, performed the Sergeant and covered Lescaut in Manon Lescaut, in addition to performing in two concerts with the Chautauqua Symphony Orchestra. He was also a young artist with Opera North where he sang Moralès in Carmen and Fiorello/L’ufficiale in Il barbiere di Siviglia and was an Eva and Marc Stern Fellow at SongFest where he coached with Martin Katz, Graham Johnson, and composer Lori Laitman. 21st-century operatic roles which have been composed for and have been performed by Ricardo include leading roles in Robert Cuckson’s The Night of Pity, Christopher Park’s Phaedra and Hippolytus, and Alexander Berezowsky’s The Nine Billion Names of God which was performed with Contempo’s eighth blackbird and the Pacifica Quartet. Regarding Ricardo’s performance of Sophia Gubaidulina’s Perception with Contempo’s eighth blackbird and the Pacifica Quartet, the Chicago Tribune declared him “amazingly precise of musical and verbal gesture”. Other 20th- and 21st-century chamber music Ricardo has performed include Steven Stucky’s Four Poems of A.R. Ammons with the FLUX Quartet, the world premiere of Reinaldo Moya’s Soliquio en las olas with the Arts Symphony Orchestra, and the world premiere of Aaron Dai’s Con furia with the Chelsea Symphony. Additionally, he performed the music of Stockhausen, Cage, Xenakis, and Aperghis as part of the Institute and Festival for Contemporary Performance at Mannes College The New School for Music. Ricardo was a National Semi-Finalist in the 2012 MET Opera National Council Auditions (MONC) and is a recipient of the Richard F. Gold Career Grant. 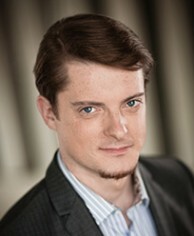 He also won 3rd Prize in the Gerda Lissner Competition, a Career Grant from the Licia Albanese-Puccini Competition, 1st and Audience Prizes in the NY Lyric Opera Competition, and awards from the Opera Index, Career Bridges, and Connecticut Opera Guild Competitions. 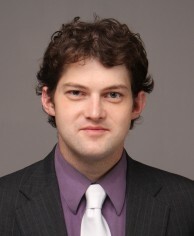 Baritone John Allen Nelson hails from Minnesota and is a graduate of Boston University Opera Institute, UMKC Conservatory of Music, and St. John’s University. He recently sang Dandini with NEMPAC opera in Boston. Other recent roles performed are Guglielmo in Cosi Fan Tutte, Demetrius in A Midsummer Night’s Dream, Escamillo in La Tragédie de Carmen and Morales in Carmen with St. Petersburg Opera. He has also performed the title role in Don Giovanni, Belcore in L’Elisir d’Amore. Count Almaviva in Le Nozze di Figaro, Trio in Trouble in Tahiti, Father in Hansel and Gretel and Zuniga in Carmen, Marcello in La Bohème. With Minnesota Opera, he performed the Mandarin in Turandot, Schaunard in La Bohème, Zimmerkellner in Arabella. Young artist programs include Des Moines Metro Opera and Opera Colorado. Awards: Society of Singers Scholarship winner and Schubert Club Honorable Mention award, 2015 semi-finalist for the Shreveport Opera Singer of the year competition. Dr. Neal Woodruff is conductor of the University Orchestra and Concert Singers at Olivet Nazarene University. His students have performed leading roles with the Santa Fe Opera, Des Moines Opera, Sondheim Center, Indianapolis Opera, Marriott Theatre, and Sugar Creek Opera. 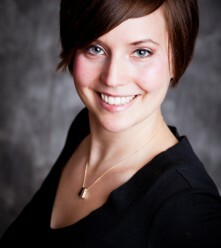 Woodruff serves on the Central Region Board of Directors for the National Association of Teachers of Singing. He has performed under the batons of Sir Georg Solti, Margaret Hillis, Zubin Mehta and James Levine. Recent performances include Les Miserables (Valjean), West Side Story (Tony), and Madame Butterfly (Goro). 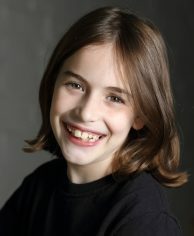 Mary Grace Wilkinson is a rising 7th grader at Shaker Heights Middle School. She feels extremely fortunate, as well as grateful to have been giving the opportunity to participate in such a great experience by to Ms. Todd. Previous roles include Sally Brown in You’re A Good Man Charlie Brown, Anybodys in West Side Story, both with Heights Youth Theatre and as well as Willy Wonka in Willy Wonka in Shaker Heights, Ohio. Julianna is eight years old and will be entering the third grade at Ruffing Montessori School in Cleveland Heights, Ohio. 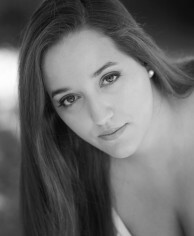 Julianna previously performed the role of Sorrow in Madama Butterfly at Sugar Creek Opera. In 2014, she performed in the children’s ensemble in Mary Poppins at Mercury Theatre in Cleveland, Ohio. This is Julianna’s solo singing debut in the role of Winfield. 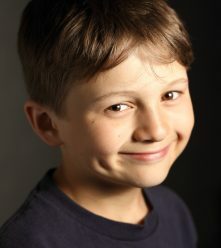 Niko is a rising 5th grader at Ruffing Montessori School in Cleveland Heights, OH. He is honored to join the cast of Sugar Creek Opera for the first time. 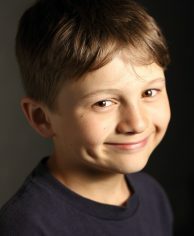 He has previously appeared as Michael Banks in Mary Poppins with Mercury Theater Company in South Euclid , OH and in productions of Jungle Book, Willy Wonka, and Chitty Chitty Bang Bang with Heights Youth Theatre in University Heights, OH. 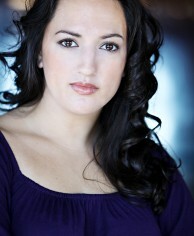 Marysa Abbas is a Minnesotan mezzo-soprano, and is currently based in Chicago. 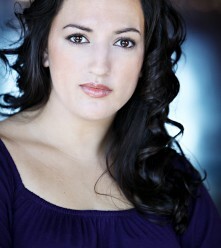 She was recently seen as Dorabella in a touring production of Cosi fan tutte throughout the Midwest. Ms. Abbas is also an avid performer of new music, and will be involved in the much anticipated performance of “The Shining” with the Minnesota Opera. A passionate advocate of exposing new audiences to opera, Ms. Abbas is a manager of the Chicago chapter of Opera on Tap. She received her M.M. from Wichita State University and her undergraduate from Viterbo University. She is currently a student of Karen Brunssen. Mezzo-soprano Alissa Andraski’s voice training began at Interlochen Arts Academy in Michigan. Alissa holds a bachelors degree in Voice from the Chicago College of Performing Arts, Florence University of the Arts, and Istituto Europeo in Florence, Italy. After graduation she moved to Germany to study voice with Soprano Sandra Moon at the Staatstheater am Gärtnerplatz and German language through the University of Munich. While abroad she performed in Germany, Italy, Austria, Switzerland, Holland, and Australia. 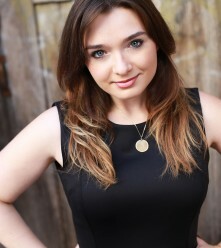 Sarah is a recent graduate of the Eastman School of Music where she received a Master of Music in Vocal Performance and Literature under the instruction of mezzo-soprano, Kathryn Cowdrick. She completed her undergraduate degree at Southeastern Louisiana University in 2013. Recent Roles include Mrs. Webb in Our Town, Miss Pinkerton in The Old Maid and the Thief, and Sister Anne of the Cross in Dialogues of the Carmelites with the Eastman Opera Theatre. During her undergraduate degree, she performed Mauguleonne in Viardot’s Cendrillion, Pamina in The Magic Flute, the Mother in Hansel and Gretel, Signora Naccarelli in The Light in the Piazza, and Sister Genevieve in Suor Angelica. Adrianne Blanks, Mezzo-Soprano, made her mainstage debut as Hermia in Britten’s A Midsummer Night’s Dream with Opera Naples. Since then she has gone on to sing the roles of Meg Page in Falstaff, Mrs. Nolan in The Medium, and the lead in the Midwest premiere of Mohammed Fairouz’s Sumeida’s Song. Ms. Blanks has been featured as a soloist in Handel’s Messiah, Saint-Saën’s Christmas Oratorio, and Britten’s Ceremony of Carols. 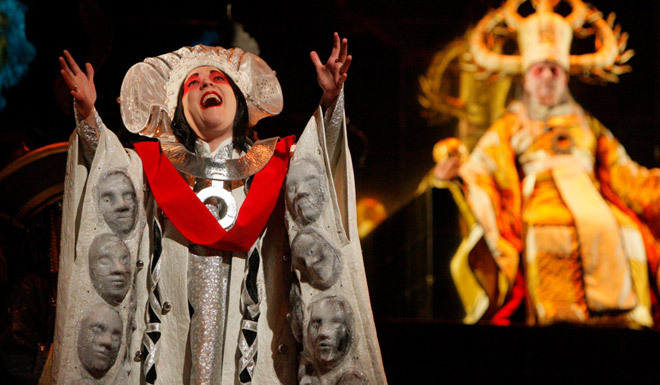 Other highlights include Papagena in The Magic Flute with Lyric Opera of Chicago’s outreach program, Isolier in Rossini’s Le Comte Ory, and Eliza in Sullivan’s The Zoo. She has also had the pleasure of singing in Italy as Cherubino in Le Nozze di Figaro and Third Lady in Die Zauberflöte with Flagstaff in Fidenza. This spring she will be Ellie Mae Shipley in Showboat with Natchez Festival of Music and this summer she will be Mae in Ricky Ian Gordon’s Grapes of Wrath with Sugar Creek Opera. College singing Barone di Trombonok in Il Viaggio di Reims and Top in The Tender Land. 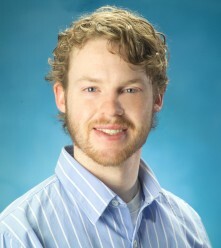 James Hevel is a recent graduate of Baldwin Wallace Conservatory of Music, where he studied voice with Dr. JR Fralick. He has been seen most recently as the Tenor soloist in BW Singers performances of Schubert’s Mass in E-flat Major, and as El Remendado in The Tragedy of Carmen. James has also performed as a chorus member for both local opera companies in Cleveland, Ohio; Opera Circle Cleveland and Cleveland Opera Theater. Past engagements include a trip to Perigeuex, France with the Franco-American Vocal Academy performing the roles L’aritmétique and La Rainette in Ravel’s L’enfant et les sortilèges. 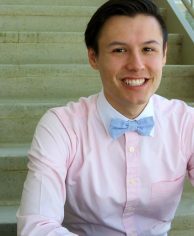 This coming fall he will begin his first year as a Master student at the University of Illinois at Urbana-Champaign, studying vocal performance with Jerold Siena. 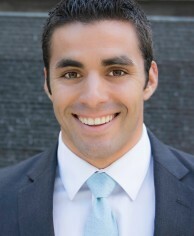 Adam Hollick is a graduate of Azusa Pacific University. He was originally recruited to APU on a football scholarship. After playing for two years and discovering his vocal abilities, he decided to leave the football program and become a music major. 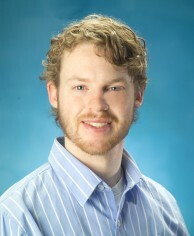 Adam soon discovered a deep love for opera and devoted himself to full-time study thereafter. He has been a part of the APU Opera program for four years and has performed several roles in productions such as Sergeant Belcore in Donizetti’s L’Elisir d’Amore, Papageno in Mozart’s The Magic Flute, Father in Humperdinck’s Hansel and Gretel, and Don Giovanni in Mozart’s Don Giovanni. Adam’s is a scholarship recipient in the the national art song festival “Song Fest” and his talents have been recognized internationally when chosen as a semi-finalist for the “Voice of the Future” competition at the Llangollen International Musical Eisteddfod in Llangollen, Whales. Baritone Jeffrey Luksik is excited to perform the role of Noah in The Grapes of Wrath with the Sugar Creek Opera. 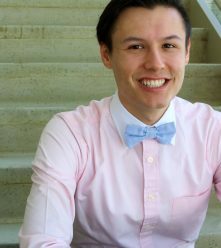 He recently sang the roles of Sid in Albert Herring with the Chicago Summer Opera and Dr. Bartolo in The Marriage of Figaro for the University of Nebraska’s outreach program. Other favorite roles include Leporello (Don Giovanni), Anthony (Sweeney Todd), Conte Robinson (Il matrimonio segreto), and Prince Gabriel III of Belgium’s Trainer’s Son (Vinkensport). Dedicated to new art and music, Jeffrey originated the role of Private Dennison in Norton: A Civil War Opera and worked with the 2015 Lincoln ASCAP Festival to workshop new musicals. In addition to his performing career, he wrote the story and narration for the Central Midwest Ballet Academy’s new ballet, The Little Matchstick Girl. Jeffrey holds a Bachelors of Music from Shenandoah Conservatory. He studies with Dr. William Shomos. Brett Potts is an up and coming tenor, who is quickly becoming a favorite with local audiences and conductors alike. He sang for the premiere of Matthew Aucoin’s opera Second Nature for Lyric Unlimited, going on as a cover in the role of Jake, with Aucoin conducting. Brett then sang the role for Opera in the Neighborhoods. Recent roles include Tamino (The Magic Flute) with Petite Opera and Don Giovanni (covered Ottavio) with Floating Opera Project, and Ernesto (Don Pasquale) with Windy City Opera. In 2011, Brett covered the role of the Celebrant in Bernstein’s Mass for the Chautauqua Symphony Orchestra, and later performed the role for the Buffalo Philharmonic Chorus, with Doreen Rao conducting. With the Buffalo Philharmonic Orchestra and Joann Falletta conducting, he sang in the solo quartet in Mozart’s Solemn Vespers. 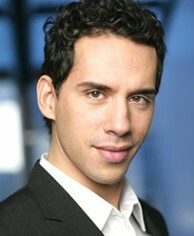 He currently sings as a chorister with the Lyric Opera of Chicago. 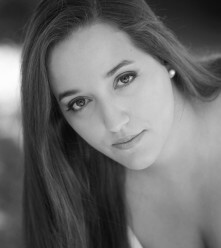 Soprano, Jennifer Russo is currently an Advanced Diploma candidate at the Queens College Aaron Copland School of Music. 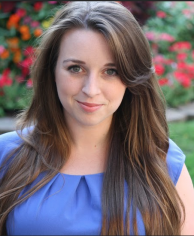 Russo will sing the role of Fiordiligi in Così fan tutte with the Queens College Opera Studio in 2016. She recently made her debut with The Bronx Opera Company in their production of Regina, where she covered the role of Birdie. She was the Soprano Soloist in Bach’s Magnificat and Vivaldi’s Gloria with the Queens College Choral Society in December. As a young artist, Jennifer performed the role of Alice Ford in Falstaff with the Bay Area Summer Opera Theater Institute and spent a summer with the Bay View Music Festival where she performed Donna Elvira in Don Giovanni. Russo completed her Master of Music degree in Vocal Performance at the New England Conservatory of Music and earned her Bachelor of Arts in Music and Psychology from The George Washington University. She currently studies with Dr. Sherry Overholt. 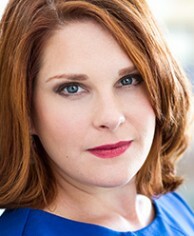 Anne Slovin, soprano, most recently created the role of Mica Segal in Lyric Opera of Chicago’s world premiere of The Property by Wlad Marhulets. In 2014, she was an Artist-in-Residence at Pensacola Opera, where she sang the roles of Frasquita in Carmen and Clorinda in La Cenerentola. Ms. Slovin was the first prize winner of the FAVA Grand Concours de Chant and the second prize winner of the Czech and Slovak International Vocal Competition in Montreal. She was also awarded a Farwell Trust Award from the Musicians Club of Women and an international study grant from the Frank Huntington Beebe Fund for Musicians. An active participant in the Chicagoland music scene, she is a core associate member of the Chicago Symphony Chorus, and has also sung with Music of the Baroque and the Chicago Bach Project.